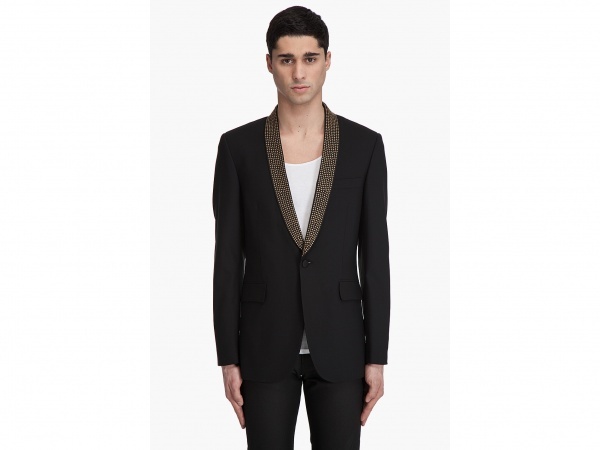 From Richmond X, this studded tuxedo jacket adds a little bling to your formal attire. The single-breasted, one button jacket in black features round stud embellishments on the shawl collar. Equipped with a welt pocket at the chest and bound flap pockets at the waist, the fully lined jacket is available online.